Thirty years after the entry into force of the UN Convention against Torture, there is still a considerable implementation gap and torture continues to exist worldwide. One of the most significant developments over the last few years has been the establishment of National Preventive Mechanisms (NPMs) which have a mandate to carry out regular unannounced visits to places of detention. 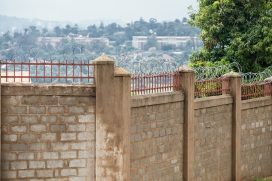 In the 8th expert blog in our anniversary series, Moritz Birk of the Ludwig Boltzmann Institute of Human Rights in Vienna, argues that the follow up and implementation of NPM recommendations is a weak point and examines how they can better ensure the long term impact of their detention monitoring and make a sustainable contribution to the prevention of torture. This is the eighth in a series of expert blogs PRI has commissioned to examine some of the most interesting trends and pressing challenges in criminal justice and penal reform. The series marks PRI’s 25th anniversary year and will run from May 2014 to the United Nations Crime Congress in April 2015.